Resin materials used in plastic injection molding have evolved significantly in recent years as advancements to combining plastics with fillers and reinforcement materials has become more common in many industrial applications to improve part performance and strength. 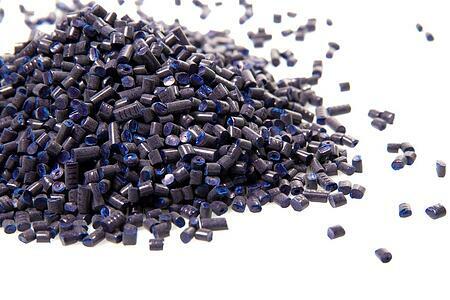 In the past, plastics were not known to be highly heat resistant materials. It is becoming more known that there are now many high performance resins that can be put to use at temperatures up to 572 degrees Fahrenheit – depending on the part / product’s environmental factors and exposure to chemicals. High heat and exotic resins are particularly good metal replacement options because they provide incredible benefits in the areas of weight savings, chemical resistance, and sliding friction characteristics. Additionally, these great attributes can be maintained at high permanent operating temperatures. When reinforcements such as glass or carbon are added to high-heat or exotic resins, strength and heat distortion temperatures are even more greatly improved. Specifically for aerospace and automotive applications, carbon fiber reinforced plastic offers superior stiffness and mechanical properties with low part weight. If compounded with lubricants such as PTFE and graphite, resins can offer superior performance in the areas of abrasion resistance, wear, and low friction. The inherently good electrical insulating characteristics of these materials can also be altered to ensure static dissipative or electrically conductive behaviors. High temperature and exotic resins may cost more than commodity-grade resins up-front; however, these materials may add a tremendous amount of durability and performance attributes to your complex parts – resulting in the reduction of overall production costs. Strength and modulus – It is important to evaluate the mechanical properties of the materials being considered at the low end and high end of operating temperature range. It’s critical to have an understanding at what elevated temperatures plastics will soften and lose strength / modulus. Thermal expansion – Compared to metal, plastic has a higher rate of thermal expansion. The coefficient of thermal expansion should be reviewed to confirm CTE mismatch between plastic parts and mating metal parts does not cause the product to malfunction due to dimensional changes. Creep strain and stress relaxation – At elevated temperatures, plastics exhibit increased creep strain and stress relaxation. Consider these factors during the design process and make alterations accordingly. Degradation – In high temperature environments, plastics can degrade over long periods of time, especially if oxygen is present. Thermal degradation curves should be reviewed when selecting materials for use in elevated temperature environments. Whether you’re working with resins like PEI, PSU, PPS, or PEEK, some high heat or exotic materials feature many, or all of the attributes listed above, and they all have different key characteristics, reaction to heat, performance benefits, and markets / industries that utilize the material most. This chart identifies each, for numerous high heat and exotic amorphous and semi-crystalline materials. An important first step in selecting high heat or exotic resins is to understand the key characteristics of materials you are considering for your unique application. Partnering with an experienced injection molder who leans on the knowledge of world-class polymer scientists and leading material suppliers will help ensure the development of formulations that address the needs of even the most complex, precision engineered plastic parts. Are you looking for the best material for the development of a complex plastic part? Download this guide to learn more about the attributes of many common high heat / exotic resins.